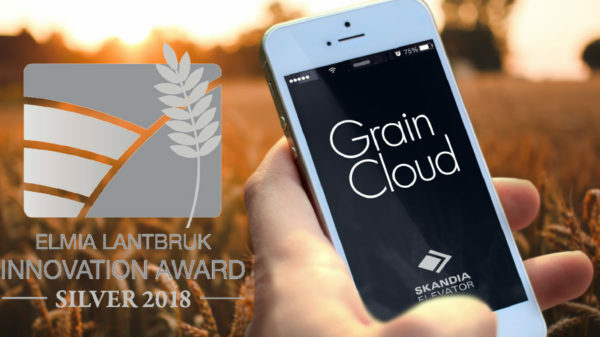 In cooperation with our customer Skandia Elevetor CNet has developed Grain Cloud, a smart agriculture app and cloud solution that quickly and easily gives an overview of all processes and devices in facilities for drying and storing grain. A main component in such facilities are grain elevators, which are used to transport grain into silos. An essential function is the protection of the grain from the elements and allowing that the grain is stored keeping it suitable for purchase through tracing quality and temperature. Grain Cloud makes the harvesting more efficient. Calculating and keeping track of drying and transport times, while warning in case of a malfunction. It also facilitates planning and division of labour, enabling a more efficient harvest season and higher yields. Additionally, the app allows keeping track of the inventory, regardless of time and location. It also makes maintenance easier because it tracks the utilisation of all devices and provides reminders when it’s time for service. CNet has successfully delivered and installed the first system running in several farms. Blockchain technology enables IoT developers to create a new range of innovative applications that allows a set of independent actors to share data and execute business transactions in a trusted environment without having to use proprietary networks and centralised trusted third parties. The Blockchain represent a distributed ledger of transactions that all parties can share and trust. Potential applications range from financial transactions, food traceability to distributed electronic patient records, In the COMPOSITION project we are researching, developing and evaluating blockchain solutions for supply chain management and trusted product traceability to support factories of the future. Blockchains are also used to establish a trusted agent-based market place for automated tendering and negotiation supporting trading. We recently launched our new Project COMPOSITION, a 3 year project focused on smart manufacturing and Industry 4.0. The Project will develop Technologies for IoT, Deep Learning and blockchain to provide a platform to allow collaborative manufacturing involving different stakeholders such as factories, logistics companies, suppliers, retailers and consultant in an ecosystem. Two use cases will be developed – manufacturing of medical devices and supply chain management. The project will implement RAMI 4.0 (Reference Model Architecture Industry 4.0). CNet is the technical coordinator of the project which has a budget of 7,6 MEur. CNet has been approved as a member of the IoT Sweden organisation. IoT Sweden is a 10 years innovation programme supported by Vinnova, Energimyndigheten and Formas to promote Internet of Things in Sweden. This week we are going to the Finnish farm Maaninka to install a smart farming solution. The farm is located close to Kuopio in the northern Finland. 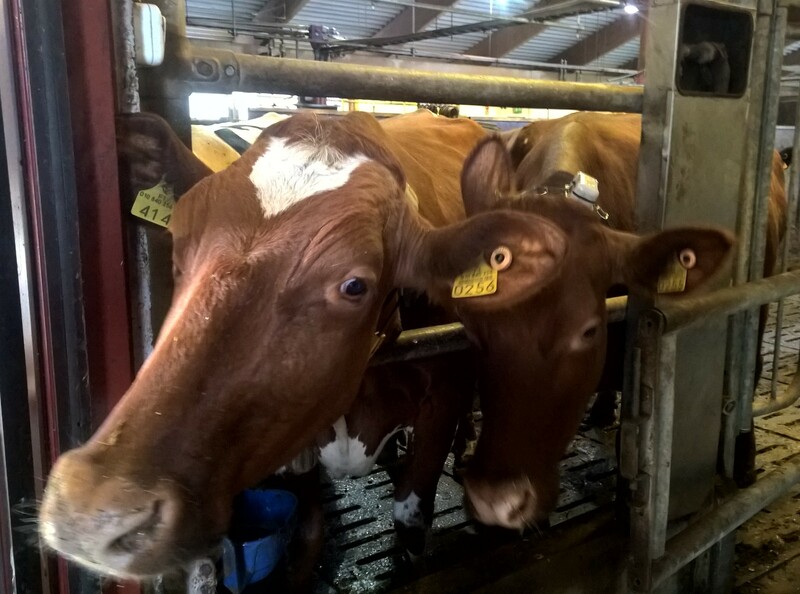 As part of the CLAFIS project we have used LinkSmart .net to IoT-enable different farming equipment such as feed mixer weight scales. Through the MODBUS and OPC protocols we are able to control the equipment from the high level interface provide by LinkSmart. This makes it possible for developers of HMI (Human Machine Interfaces) inside tractors and other farming machines to provide solutions that can optimizing the feeding of animals, harvesting and sowing. We will participate and exhibit the results of our R&D project IoTBridge at the Eureka Innovation Week in Stockholm 26-27 April. Roads and bridges are critical infrastructures in a city. Repairs and maintenance work immediately effects the traffic situation. Manual inspections of road and bridge conditions are costly. These problems are tackled by the IoTBridge consortium in which CNet is a part. We are combining different types of sensors embedded into wireless sensor networks which exchange information utilising cloud technologies. Data on the use of bridges and status of various parts is analysed to optimise inspection intervals and maintenance to reduce the costs for upkeep and ensure safety. A first installation of the system is done at the new Årsta Bridge, a railway bridge in Stockholm. This is part of our innovation activitities targeting Smart Cities and Infrastructure Management. CNet today participated and made a presentation at an international M2M for Smart Cities Workshop in Copenhagen. Sustainable urban development is recognised as a key challenge at a global level. The ‘Smart Cities’ model provides opportunities and challenges for cooperation on issues related to areas of energy, water, health, transport, environment, information and communication technologies. During the workshop CNet presented the Almanac project and our work on how to integrate IoT Data and Business Data to achieve real business process improvements of the city operations. We are also researching and developing a federated storage architecture for big data processing and advanced resource and service catalogue functions to support semantic interoperability of heterogeneous resources, devices, and services.